Isn’t this a beautiful lip balm? I bought Shiseido Water in Lip Balm while visiting Hokkaido, Japan. From what limited Japanese words I can read, this product contains thermal water from hot springs so I had to try it. The price is afforable only ¥400 ( 52.000 IDR ). 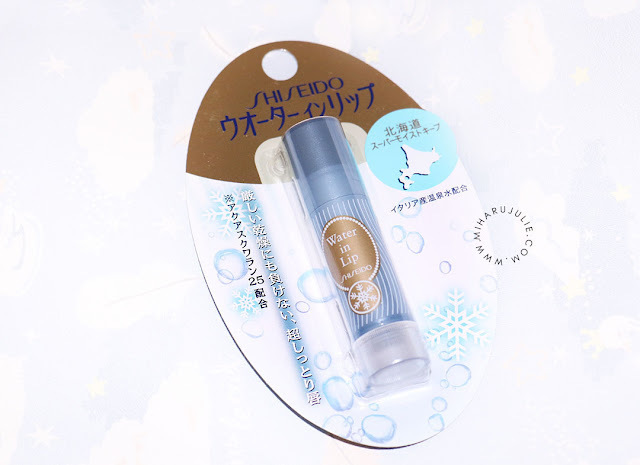 I think SHISEIDO release a Water in Lip Balm in Hokkaido Winter edition because apparently winter here is so harsh they think they need a special product. 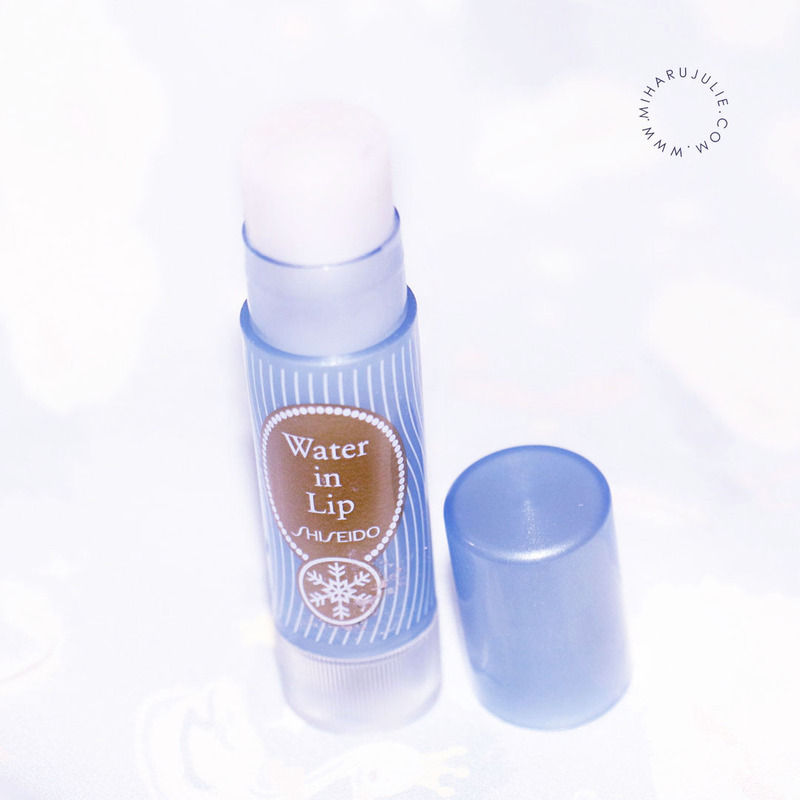 Super moisturizing effect protects your lips from dryness and coldness. Recommend for dry circumstances at the office, at the winter sports activites. Italian natural mineral water is used. As can be expected from Shiseido, the packaging is pretty and classy. It comes in a typical plastic lip balm case in blue color and the product name is written in a little gold medallion design. The balm is in the standard twist up tube. It has a velvety texture, not sticky at all. It is not greasy and waxy. 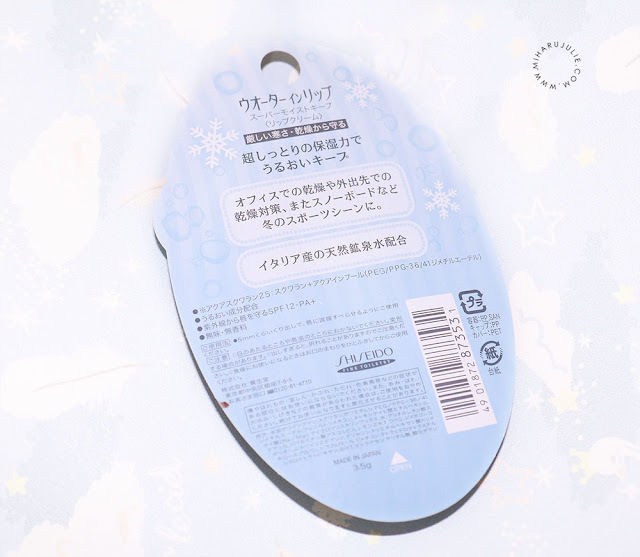 It is easily absorbed leaving lips softer, plumper and moisturized. 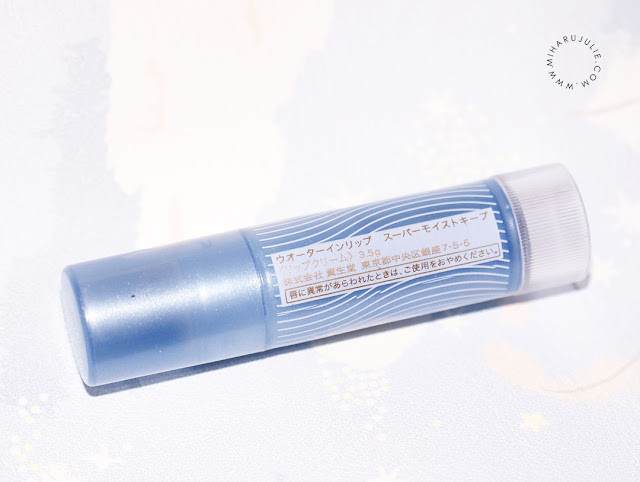 Overall, Upon applying this to my lips, I felt a surge of moisture that was quickly absorbed by my lips. Not only does it leave a pearly shimmer (not TOO much, but just enough) but it makes your lips healthier. 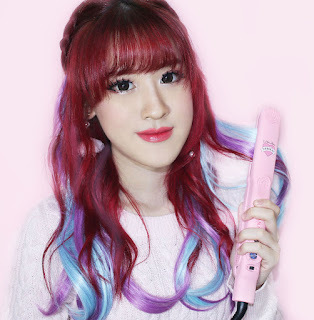 It acts as a good base for lipsticks specially the matte ones.